Larissa Stark is a beautiful woman who plays many roles in her life: wife, mother, devoted friend. She has everything she ever wanted, until a chance encounter with a stranger changes Larissa's idyllic existence forever, leading her to question all the things she once believed were true. Faced with impossible choices and contemplating the unthinkable, Larissa struggles with an eternal mystery: how does one woman follow a divided heart? A good friend sent me this book as a birthday gift and I approached it a little tentatively at first. The reason for that was the fact that I find Simons a somewhat inconsistent writer. I have read some books of hers that I loved and others that I hated, so I wondered where this one would fall. In the end I would rate it somewhere in the middle. There were many things I liked about this book. Larissa was an interesting, if sometimes misguided and naive, character and, in the early part of the book, I found her inner struggle gripping reading. She lives a supposedly normal and happy life, but then a chance meeting turns her world upside-down. This book covers both the mundane and the amazing aspects of everyday life. Her husband also comes across well. Sure he's a bit dim not to notice the problems emerging, but once the dam breaks he comes into his own and becomes a much more engaging character. I also felt the supporting cast were nicely fleshed out and 'real'. I never warmed to Kai; although, I can see why many would find him appealing. Unfortunately, unlike Larissa, I saw him coming a mile away. However, the reason this only got three stars and not four is that, for me, it lacked the spark of some of Simons best work such as The Bronze Horseman. The story was fine, but it didn't keep me on the edge of my seat. I also found the ending a tad abrupt and unsatisfactory - it felt distinctly like Simons was preaching right and wrong by then. 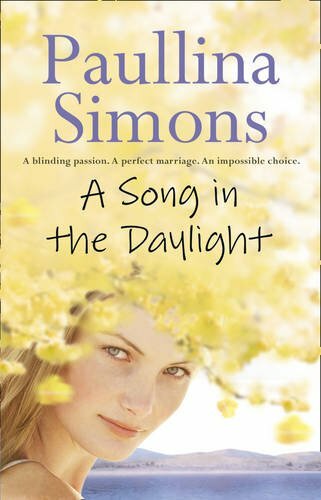 Still, this was a pleasant read and it is a book that will keep current Simons fans happy as well as appealing to anyone who likes contemporary family drama.